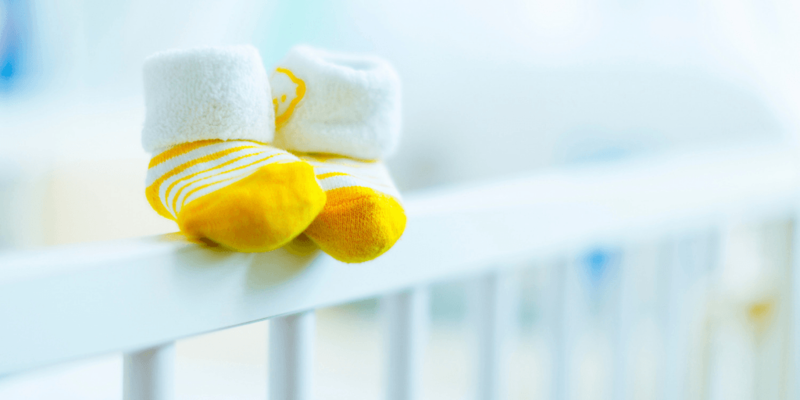 At Little Lullaby, we advise that the safest place for a baby to sleep is in a separate cot or Moses basket in the same room as you for the first 6 months. Organisations including The Lullaby Trust and NHS agree that this is the safest place for a sleeping baby. You should follow this advice for naps and daytime sleeping as well as at night. A large study of evidence from across Europe found that the risk of Sudden Infant Death Syndrome (SIDS) was significantly lowered when the infant slept in the same room as mum and dad. If your baby isn’t settling in their cot or Moses basket, just keep persevering. You can try moving their cot close to your bed to make them feel more secure and comforted. We would advise to start sleeping your baby in their own cot or Moses basket from day one so your baby can get into a routine. If you have any questions or queries about room sharing with your baby, or safer sleep advice, please feel free to get in touch at info@littlelullaby.org.uk. You can find more information about room sharing and reducing the risk of SIDS on our safer sleep for babies advice pages.